ZFP64 is so common within the healthy human body that, until now, researchers haven’t considered it a factor in any type of leukemia. Further testing by the Vakoc team revealed that the creation of MLL fusion protein is entirely dependent on this single, inconspicuous protein. While Collins said in a statement issued Wednesday that the revelation of CRISPR babies highlighted the need for a “binding international consensus” on germline gene editing, he acknowledged there is little consensus as to how governments should translate such scientific opinions into law. Despite a premature and ethically sketchy claim of genome editing in twin girls, an outright prohibition could blunt promising, responsible progress. Electric Lotus' products outlined in Thursday's warning included "Cereal Treat Loopz", which resembled Lucky Charm products. Many of the products have cartoon characters on their labeling and advertising, the FDA said. Applying the patient criteria from the TAILORx study, the largest ever breast cancer treatment trial, sponsored by the National Cancer Institute (NCI), and led by the ECOG-ACRIN Cancer Research Group (ECOG-ACRIN), NSABP conducted a new analysis in 569 patients from its previously completed B-20 study. The results show that Oncotype DX® provides definitive information about which patients will derive life-saving benefit from chemotherapy treatment. The protocol template was expanded to help increase the opportunity for participation in NCI-funded clinical trials for patients with certain health care conditions, as well as to provide an opportunity for patients younger than age 18 to participate in adult clinical trials in certain circumstances. I started working on T cells in 1982, and I told myself, "I bet this is going to be a great way to treat cancer." No drug company would have done that. I had to figure out how to get it to work. Translational science is important, but they aren't going to come read the tea leaves. That's what the academic science is for. But while all the numbers continue to steam ahead, there has been a significant decline in one key category: patient recruitment has slowed 70% in 4 years, they say. And that underscores a dramatic need to expand the number of patients who can be recruited for current and upcoming drug trials. The new £2.4 million research project called RUBICON - a rule book and immune atlas for combination therapy – will map out the immunology of lung cancer in detail. The study will be led by Cancer Research UK’s chief clinician and Francis Crick Institute group leader, Professor Charles Swanton. Merck’s latest move to raise list prices comes as Pfizer gets ready to implement 41 of its own increases early next year. Keytruda (pembrolizumab) and Gardasil (HPV 9-valent vaccine, recombinant) combined to net $4.3 billion in U.S. sales through the first nine months, slightly more than one-third of Merck's entire U.S. pharmaceutical sales in that time period. The committee also said there was limited information on the overall survival benefits of the nivolumab. Nivolumab will therefore be made available through the Cancer Drugs Fund while more data is collected on its effectiveness. Drug is the first to target common mutation associated with relapse, short survival in AML. Xospata might not be alone in the FLT3-mutated relapsed/refractory setting long, though. Fellow Japanese drugmaker Daiichi Sankyo’s FLT3 inhibitor, quizartinib, just won an FDA priority review in FLT3-ITD. Affecting around 25% of AML patients, the ITD form is much more common than the TKD mutation. The National Institute for Health and Care Excellence (NICE) said in March this year that it wasn’t cost-effective to offer regorafenib to all advanced liver cancer patients when surgery isn’t an option. But that decision has now been reviewed following a discount deal between the NHS and the company who makes the drug. The drug regorafenib (also called Stivarga and made by Bayer) can now be offered to people with advanced liver cancer if their liver is working well but the diseased area cannot be surgically treated and if they have already taken the life-extending medicine sorafenib. This Congress, to be held from 13-16 December in Geneva, Switzerland, is designed for basic, translational and clinical researchers, immunologists, oncology clinicians and other stakeholders, and will attractone thousand participants who will benefit from a broad and varied programme as well as focused sessions dedicated to different tumour types and key aspects of this treatment modality. Presentation of results from nextMONARCH 1 evaluates single-agent activity of Verzenio in heavily pre-treated patients. 40+ Abstracts Highlight the Value of the nCounter Platform in Hematology & Immuno-oncology, Including Thirteen that Demonstrate the Potential Utility of the LymphMark Lymphoma Subtyping Test. 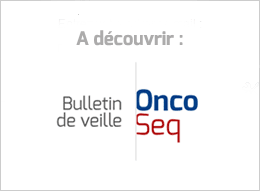 Nineteen presentations and publications featuring data from three Bristol-Myers Squibb medicines, alone and in combination, across four hematologic malignancies. Academic freedom is on the hit list when radical politicians gain office — as they have done in Europe. A radical culture change in the NHS, and across the health data and medical technology community, is needed to make sure that the NHS can deliver benefits from patient data, and to retain public trust, says a new report authored by Queen Mary University of London academics.